In addition, the new Passat will also be the first brand model worldwide with a capacitive steering wheel. This detects touch by the driver, providing an interactive interface to systems such as Travel Assist. Another new feature in the Passat is “Emergency Steering Assist”, which increases safety when performing evasive manoeuvres by means of braking interventions. The new, interactive “IQ.LIGHT – LED matrix headlights” turn night into day – this is an innovative light technology that has been exclusively available for the current Touareg so far. The MIB3 is closely integrated with the new Digital Cockpit. The digital instruments have been considerably enhanced compared to the previous system (Active Info Display). The enhanced high-contrast graphics display is clear and high-quality. The range of functions has been lifted to a whole new level. Three different display configurations can now be customised via the new multifunction steering wheel with just one button. The drive range has also been enhanced. 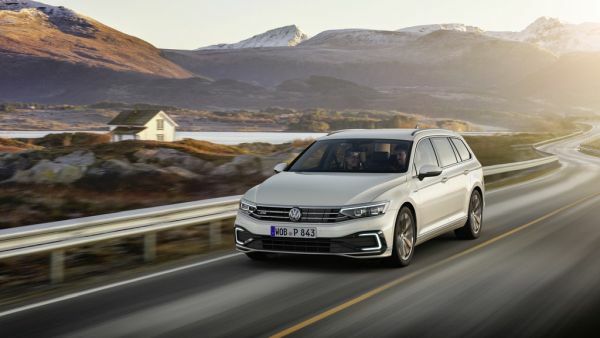 A perfect example of this is the Passat GTE1) – the plug-in hybrid model in the model line: It will have a considerably extended electric range. This is now up to approximately 55 km2) in the new WLTP cycle, corresponding to around 70 km2) according to the NEDC. At the same time, the combination of the electric motor and turbocharged engine (160 kW / 218 PS system power) means the Passat GTE provides the benefits of a comfortable, safe long-distance vehicle. The Passat GTE already achieves the limits set out in the Euro 6d emission standard, which applies to new vehicles from 2021. All other TSI and TDI units fulfil the requirements of the Euro 6d-TEMP emission standard.